After an R&D period of more than 30 months, Next Generation Recyclingmaschinen GmbH of Feldkirchen, Austria, has made a breakthrough with a new process for PET recycling. Current methods of PET processing involve either slightly lowering the intrinsic viscosity (iV) values or using solid state condensation (SSP method) to increase the iV value. 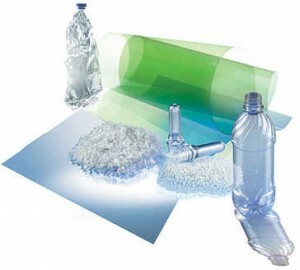 The SSP method keeps the PET material at high temperature and in a vacuum for several hours, and it achieves the desired increase in the iV value through polycondensation, specifically in the solid phase. NGR’s LSP process aims to use the higher rate of reaction in the melt phase to save energy and time during PET processing. Successful tests carried out on pilot equipment (up to 400 kg/hrs output) show iV-values to increase, which can be adjusted on the equipment accordingly. Fix adjusted, the iV-values in the tests remained at a very constant level during various hours of testing. The extremely good decontamination performance results out of the special machine design and has been documented by a challenge test. Until now, PET-fibers and PET bottle flakes have been tested. This method has been discussed in general terms with some European and American PET processors, and the concept was well received.Other interested parties have been invited for discussions in the innovation lounge at NGR’s booth at K 2013 in Dusseldorf.